Many people suffer from dentist-related anxiety. In fact, as many as 20% of Americans avoid the dentist altogether, as a result of their anxiety or fear. But just because it’s common doesn’t mean that you have to accept it. 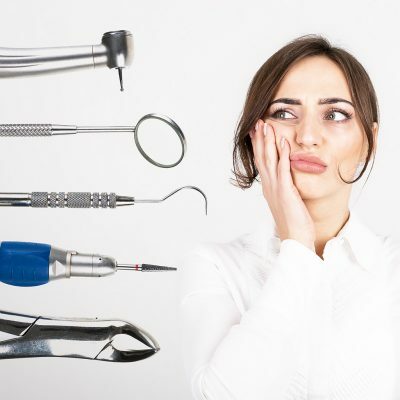 Having dental anxiety can make a toothache even worse. Alpha-Stim treats both the anxiety and the pain. Alpha-Stim® is an FDA cleared, handheld medical device that is proven to bring fast, safe, and effective relief from anxiety – including dental anxiety. 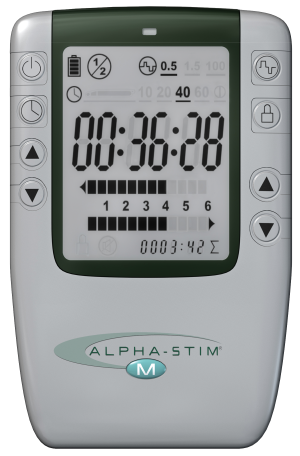 Dentists embrace the use of Alpha-Stim in their practices because not only is the patient able to enjoy a state of calm and relaxation, but the device is so compact that it does not interfere with cleanings or procedures. Alpha-Stim is also safer than nitrous (or “laughing gas”) and has no lingering side effects. I have seen people bring Alpha-Stim to the dentist over the years and not just for anxiety, but [also] for pain. My Alpha-Stim Rep insisted that he deliver the device to my home. I had a dental abscess at the time. I was on an antibiotic before they could do a root canal. It was a bit painful and the pain medication did nothing to abate the pain. When the Rep heard about that, he asked if he could do an external treatment in the area of the tooth in question. I let him do it, as it was better than doing nothing. I knew what the device had done to ameliorate my chronic moderate to severe pain. I was still shocked as by the time the treatment ended, I had no further dental pain – none. Mr. Schaum is certainly not the first person to experience such relief from his dental pain. A study in the American Journal of Orthodontics found that a single 20-minute treatment with Alpha-Stim significantly outperformed the placebo at reducing pain in dental patients. The pain intensity in the Alpha-Stim group remained markedly lower than that of the placebo and control groups over a period of four days. Alpha-Stim is compact enough to use during dental cleanings or procedures. If you’ve been avoiding the dentist because of your anxiety or fear, or if you are suffering from dental pain, Alpha-Stim can help. Unlike with medications, there is no risk of scary side effects or impairment after your appointment ends. You can use Alpha-Stim both before and during your cleaning or procedure – there is no risk of overuse, so you can continue your treatment for the duration of your appointment, no matter how long it lasts. Alpha-Stim is a standout in the dental world for its effective anxiety and acute pain relief, but it’s important to know that Alpha-Stim also treats depression, insomnia, and all types of pain: acute, post-traumatic, and chronic. In other words, Alpha-Stim is not only a valuable tool in the dentist’s office, but it can also improve your everyday life. If your dentist does not yet offer Alpha-Stim, click here to submit his or her information, and we’ll help get them started. If you are interested in getting an Alpha-Stim of your own, get started here!